A common myth is that if you work out at a gym on a regular basis, the deleterious effects of sitting for too many hours a day won’t affect you. The fact is, everyone is susceptible to the effects of sitting disease, regardless of their cardiac health or benching strength. 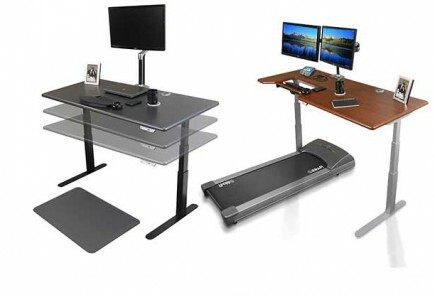 Surprisingly, the majority of early adopters of treadmill desks are not significantly overweight or obese. Even healthy people get caught up in jobs that keep them from exercising as much as they know they need to in order to maintain their health. Even if you exercise three times a week, you’re not immune to sitting disease. “We’ve become so sedentary that 30 minutes a day at the gym may not do enough to counteract the detrimental effects of eight, nine, or 10 hours of sitting,” says Genevieve Healy, Ph.D., a research fellow at the Cancer Prevention Research Centre of the University of Queensland in Australia. One thing that we find we need to continually reinforce with newcomers to treadmill desking is that walking at speeds above 2 mph is not recommended because the goal is to raise the basal metabolic rate (BMR), without exercising, i.e. sweating. A traditional running treadmill is designed for cardio workouts. 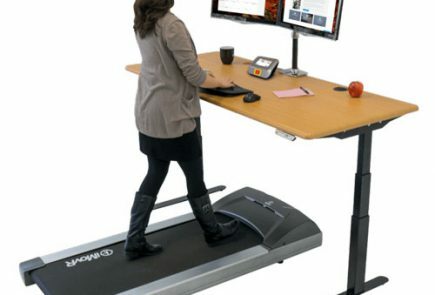 As Dr. James Levine of the Mayo Clinic elaborates on in his book Move A Little, Lose A Lot, using a treadmill desk is about engaging in Non-Exercise Activity Thermogenesis (“NEAT”). Doing so affords numerous health and productivity benefits that are complementary to, yet completely distinct from, real aerobic exercise.